2018 marked 15 years of PLAYLearnThink! To celebrate our 15 years of promoting play, PLAYLearnThink went on an extended road trip. In 2018, we drove just over 20,000Km to facilitate play training sessions and Adventure PlayDays across Ontario, Alberta and Nova Scotia. Thank you to the communities of Burlington, Manitouwadge, Biigtigong Nishnaabeg, Terrace Bay, Nipigon, Geraldton, Thunder Bay, Kenora and Red Deer as well as the MacEwan University Childcare conference (Edmonton), the Edmonton Public Library, the Calgary and Region Family Day Home Agency, the Centre éducatif À petits pas (Scarborough), the Carrefour francophone (Sudbury), the Conseil scolaire acadien provincial (Nova Scotia), the Centre provincial de ressources préscolaire (Nova Scotia), the Nova Scotia Ministry of Education and the United Counties of Prescott-Russell (Ontario) for allowing me to share my passion for play with your professionals and to facilitate playdays for your families. 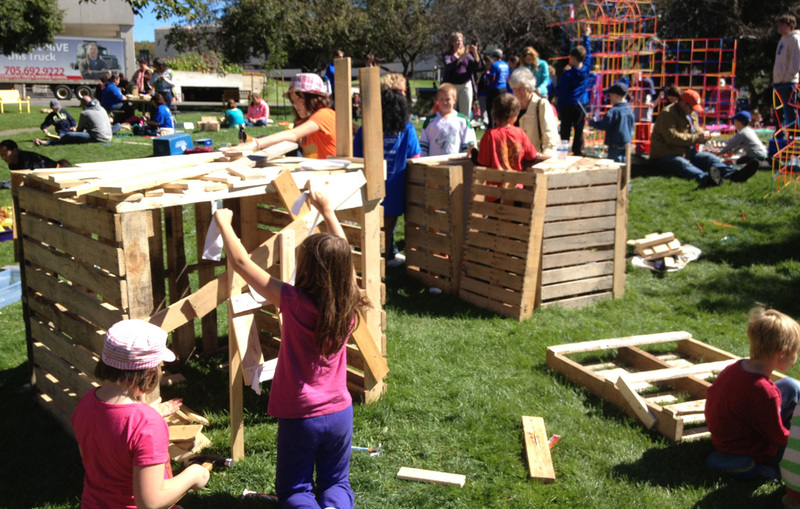 Our vision: Self-directed play for all children. Our mission: To provide Adventure PlayDays in schools and community spaces where children are free to engage with a variety of loose parts and tools. To provide play training for adults to further their understanding of play and that self-directed play is a fundamental necessity for the healthy development of children. PLAYLearnThink provides play training for adults, Adventure PlayDays for children and play consulting for anyone involved in play provision. To date just over 11,950 workshop participants have taken our Play Ambassador's oath. We have reached over 422,500 children indirectly through our play training for teachers, educators and recreation staff. We have reached just over 9,600 children directly through school and community Adventure PlayDays. We continue to help municipalities across Canada on their quest to take a walk on the play side!